Alexandria, Va. - Visit Alexandria is harnessing three new trends in the meetings industry, including personalized planning, mobile technology and the "experience economy," with the launch of its Meetings Made Extraordinary campaign, which helps planners create memorable meetings in a destination that inspires delegates to step outside the box. The new theme, "Extraordinary ideas don&apos;t confine themselves to meeting spaces," conveys the benefit of an immersive Alexandria meeting experience. Pairing delegate preferences with 15 percent discounts from Extraordinary Meeting Partners, the Visit Alexandria sales team crafts authentic after-hours activities so groups can embark on a lantern-lit tour of Old Town&apos;s haunted historic sites and culinary hotspots; participate in an exclusive fine arts class at the Torpedo Factory Art Center; or visit Port City Brewing Company for a "grain to glass" brewery tour and tasting experience-just a few of many experiences that give delegates a taste of local history and culture. Also new in 2015, the MeetAlexVA app for Android and iPhone provides meeting planners with at-your-fingertips destination information, planning tools and special events in a mobile-friendly platform connecting them with Visit Alexandria&apos;s destination experts, upcoming networking opportunities, and familiarization tours. 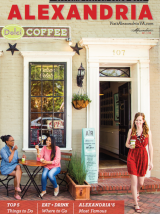 "I always encourage my clients to hold their annual meetings in Alexandria-it&apos;s a charming and walkable city with easy access to Washington, D.C.," said Karen Johnson, Potomac Strategic Development. "I also know guests will be well taken care of and provided with the little extras that make annual meetings anything but ordinary." Johnson added that one of her recent conferences had a record number of attendees this year, in large part due to delegates&apos; excitement about Alexandria. To kick off the campaign, Visit Alexandria is hosting a contest for meeting planners who complete the online "Extraordinary You" profile form, a tool Alexandria&apos;s destination experts use to provide a stress-free and personalized experience for the planner. Contest winners will receive a "Day of Extraordinary You for Two," including spa treatments, a yoga class, lunch and dinner at Old Town&apos;s top restaurants, a $250 gift card to Old Town&apos;s independent boutiques and an evening in a luxurious suite at the Hotel Monaco Alexandria. "From the first phone call, Visit Alexandria rolled out the welcome mat to HelmsBriscoe and my association client," said Julie Daniels, CASE, senior director, global accounts. "With enthusiasm and passion for the area, our Destination Manager really opened our eyes to the possibilities and value in Alexandria." •	MeetAlex Mobile App-Planners considering Alexandria can use the new mobile planning tool, MeetAlexVA app from Eventpedia, to search hotels, after-hours activities, special deals and more, helping them stay informed of upcoming networking events and familiarization tours and connect to the Visit Alexandria sales team for personalized meeting assistance. •	Event Impact Calculator-The official industry standard for measuring the economic value of an event and calculating its return on investment to local taxes. Developed in partnership with Tourism Economics, an Oxford Economics company, the calculator measures the economic value of an event in terms of sales, jobs, wages and taxes.